Everything needed to bolt on our super efficient RHR Performance wing to your E36 race car. 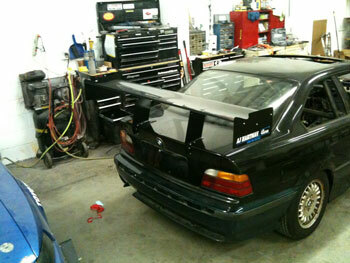 Everything needed to bolt on our super efficient RHR Performance wing to your BMW E36 race car. They are a 66" span and come with uprights that position the wing to be legal in BMWCCA "Prepared" classes or NASA's GTS class depending on the class you intend to run. Gurney flap not included. Production Note: These wings are built to order so and will have approx a 1-2 week lead time.